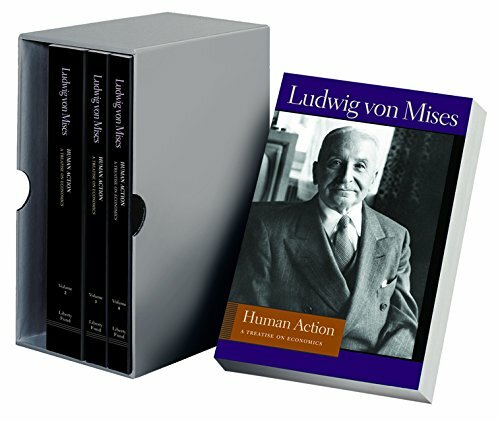 What Would Ludwig von Mises Do? Friedman would have scoffed at the notion that the Fed is out of ammunition. He believed in the potency of "quantitative easing," or QE — printing money to buy bonds.
. Higher money supply growth would have the same effect as always. After a year or so, the economy will expand more rapidly; output will grow, and after another delay, inflation will increase moderately. "…The Friedman logic…makes the case for QE2. This is all true, the public generally doesn’t understand that Friedman was an inflationist. So have there ever been any true inflation fighters? Not many, but a few. Murray Rothbard comes to mind and his great teacher, Ludwig von Mises. Let’s take a look at how Mises might view the current situation. The notion of "normal" credit expansion is absurd. Issuance of additional fiduciary media, no matter what its quantity may be, always sets in motion those changes in the price structure the description of which is the task of the theory of the trade cycle…banks and the monetary authorities are guided by the idea that the height of interest rates as the free loan market determines it is an evil, that it is the objective of a good economic policy to lower it, and that credit expansion is an appropriate means of achieving this end without harm to anybody but parasitic moneylenders. It is this infatuation that causes them to embark upon ventures which must finally bring about the slump…The objective of credit expansion is to favor the interests of some groups of the population at the expense of others.